Truth be told, I’d been obsessing about this interview ever since I got the “ok” from my editor weeks prior. I had pitched it hard, eventually annoying her into agreement. My inner mantra was: Don’t f*#^ this up! Advice from a dancer that worked with Tharp frequently (who shall remain nameless): Be prepared. Don’t waste her time. Roger that! I was definitely prepared, but the problem with the twenty minute time frame is I knew I wouldn’t be able to ask her all of the questions I wanted. Let me set the record straight. I gained press access to Ms. Tharp because I was writing a story for CS Magazine*, not because of Rogue Ballerina. I’m sure my little dog-and-pony show would not register on the press map to someone of her caliber, plus I heard she does NOT like bloggers. However, I was hoping for the chance to include a couple of questions beyond the scope of the CS readership. I was escorted upstairs and down a long hallway behind the studios. No turning back now, it was time. First impression: she’s tiny! 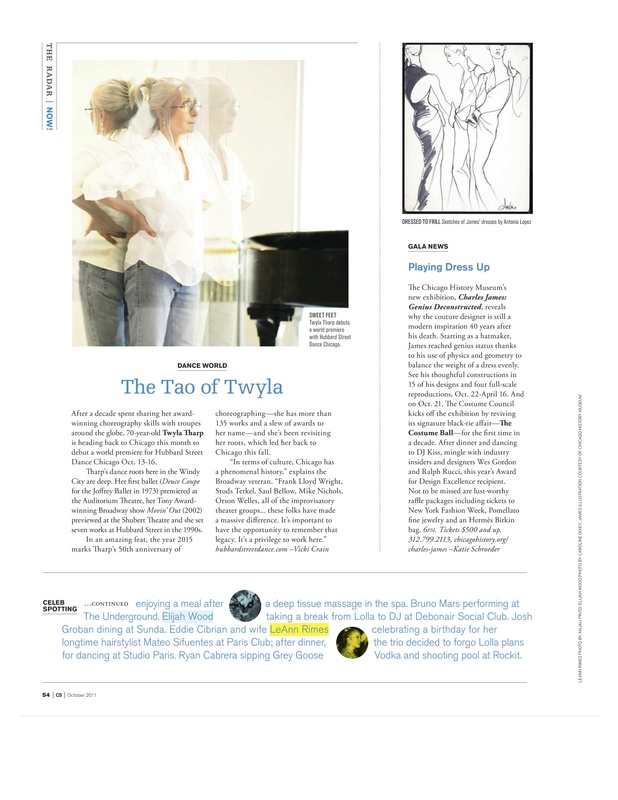 She’s smaller than I thought she’d be, but otherwise looked just like…well, Twyla Tharp. Petite, but with an enormous presence. Smart, dry, direct, intense. Intimidating. Completely daunted, I forged ahead with my questions punctuated by my trademark idiotic nervous laughter. The next twenty minutes quite frankly is a blur. It went by way too quickly and I came out thinking I was somewhere between having been eaten alive and having held my own. I had survived. Luckily, I have the entire conversation on tape! Upon listening, I found Ms. Tharp to be quite generous and genuine. She has a biting sense of humor that I think, because of her extremely analytical mind, doesn’t come always across. For instance, when I asked my final question – if you went back to your parents’ drive-in movie theater and saw the story of your life on the screen, what would it be titled? – after commenting on what a bizarre question that was (which I took as a complement), she went on to analyze if it would work, how it would work, why it would work, what would be in it, plotting scenes, wondering who would be changing the marquee and then deadpans, “Shirley MacLaine could play me now.” We discussed her process, her habits, her books, what she’s reading and the dreaded subject of getting older. We did not discuss her upcoming work for HSDC. It was still in the planning stages. I would’ve liked to talk to her more about her writing process and asked about her collaboration with musician/composer Danny Elfman, but time ran out. Here are some excerpts of our conversation that didn’t make it into the article for CS (reprinted in Front Desk Chicago – images below)*. Congratulations on the Spotlight Award. Thank you. You’re very kind. As far as I’m concerned, I’m handing it right back to Lou (Conte). Because you do have quite a few awards already…what makes this one special? Is it the fact that Lou is coming back to give it to you or is it the relationship that you have with Hubbard Street? It’s not about awards; it’s about work. Lou is a phenomenal legend – a Chicago legend. I’m always, always happy to see him. He’s an honest guy. I really value that. He’s built around his abilities and talents and able to grow it into what is essentially one of the very few repertory companies in America for modern dance. There are numbers of repertory companies for ballet, but very few for modern dance. This is going to become more and more of an issue in the future because will single company founders passing away…Graham, Cunningham, Paul’s in his 80s, I’ve already disbanded the company because I was curious about investigating what happens after you die? Which was my experiment. It’s still my experiment. I kind of look at it as I’m visiting into the world after I’m gone to see both what I can still do in terms of working with the talent and with the – and I really don’t like this word – legacy. The work that’s been done previously, how has it taken hold? How has it imbedded itself, so when I come back 15 years later, what’s there that I can pick up on? What’s made a difference? 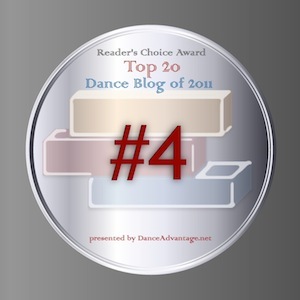 What has mattered to these dancers? What has been useful to them? That’s sort of a privilege that I have to go back and try to explore…excavate in a way. It’s like archeology. After 15 years, how did this new collaboration come about? Why did you decide this is the right time to come back? Well, Glenn (Edgerton) asked if I might do a piece and I was able to put the time in place to do it. Also, it’s always a good time to go back and regroup. 2015 is my 50th anniversary of work and we’re already starting to develop the platform that we’ll present that year. We’re putting up a new website that is going to give a much more comprehensive overview of things. I’m working on a full-length ballet, a narrative ballet…of a lot of lessons learned and questions asked. I think this is something of the same thing. It’s a revisitation to roots to see where…roots is a bad analogy, because plants don’t grow fast enough. We only have 3.5 weeks to grow this plant, to see where we can get it to. In particular, it’s about the women here. My first group from 1965 – 1970 was all women. We worked in a very different way, different than anybody was working at the time. In being only, not only, but having no men in the group, we pushed ourselves physically as hard as possible. There was no, “ok the guys can do this”. If we wanted jumping, we jumped. If we wanted partnering, we partnered. We developed physically in different ways and we also developed emotionally in very different ways. The women in this company are closer to that ethos than most women in dancing are. It’s about using their courage. Are you comfortable being labeled a genius? It’s a ridiculous word. Everyone has a genius. Everyone has a spirit, a spark inside that’s very, very special. There are those who are both fortunate and who have been corralled enough by resourceful human beings to develop discipline. It’s the ones who manage to discipline that spark, to harness that spark that get labeled with this nomenclature. The romance of the genius is ridiculous. Part of genius is the guidance system that one grows up within. 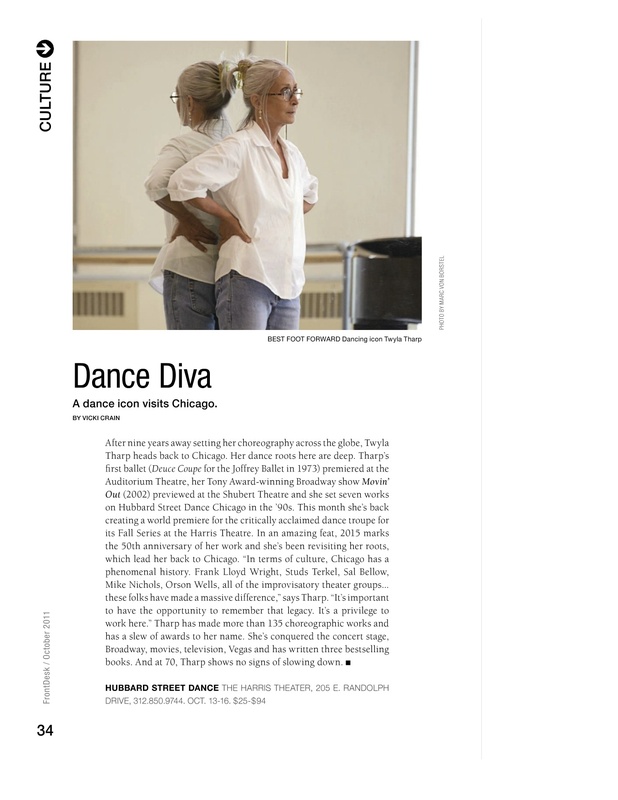 See Twyla Tharp’s World Premiere SCARLATTI for Hubbard Street Dance Chicago next week at the Harris Theater! Tickets: 312.850.9744, at HSDC (1147 W Jackson) or in person at the Harris box office (205 E. Randolph). 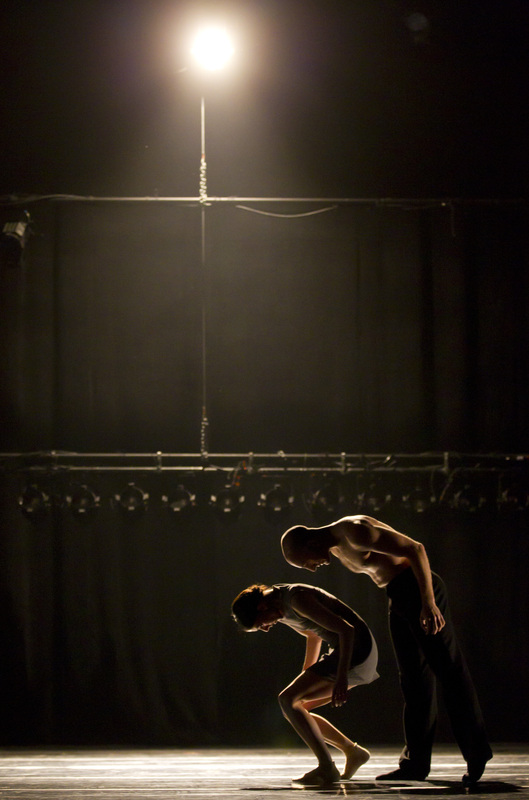 Hubbard St dancers Ana Lopez & Benjamin Wardell in Cerrudo's "Maltidos". Photo by Todd Rosenberg. 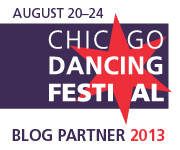 Dance writer/critic/historian Lucia Mauro opened Chicago Dancing Festival‘s (CDF) Muses program (Friday, Aug 26 on the MCA Stage) by distinguishing the difference in meanings of the term muse. In ancient Greek mythology, the work referred to “beings who imparted knowledge. They were empowered beings, the sources of greatness”. But today, we refer to a muse as someone who inspires artistic creation. After giving a brief list of famous choreographic partnerships (Balanchine and Farrell, Tharp and Baryshnikov, etc.) Mauro set the stage for the discussion to follow with Lar Lubovitch, Alejandro Cerrudo, Janet Eilber and Bettie de Jong that dealt with the artist/choreographer relationship. Is it “control or collaboration”? And how has that relationship been defined historically and is it being redefined now? Hubbard Street Dance Chicago‘s (HSDC) resident choreogher Alejandro Cerrudo subscribes to the “two brains think better than one” theory and tends to use a collaborative approach with his dancers. After praising the HSDC dancers many talents, he says, “anything the dancers give me is valid” and states simply, “I became a choreographer to become a better dancer.” HSDC dancers Ana Lopez and Benjamin Wardell (frequent muses for Cerrudo) danced the final duet that was created on them from Cerrudo’s 2010 work Deep Down Dos. Wardell is leaving HSDC to pursue independent projects. I’m really going to miss these two artists dancing together. They seem to have a kinetic ESP that drives their duets. Janet Eilber, Artistic Director of the Martha Graham Dance Company told stories about working with the iconic choreographer in the 70s. Eilber took over many of Graham’s roles once she was retired from dancing and said the best advice she ever gave her was to always create an internal monologue. “You have to talk to yourself the whole time,” Graham advised her. Eilber also talked of how Graham had changed after a leave of absence from the company (depression and an extended hospital stay). Once back, the way she choreographed changed to “visually instead of viscerally”. Clips were shown of Eilber dancing in Graham classics Frontier and Clytemnestra. Bettie de Jong, Rehearsal Director for Paul Taylor Dance Company brought her considerable personality and humor to stories of working with Mr. Taylor.”Unlike Martha, he doesn’t like to talk about the dances he’s making…maybe two words”, she says. “His dances had an animal instinct, a dark side, a musical side, a funny side.” Clips of her dancing with Taylor were shown including Esplanade and Big Bertha. CDF co-founder Lar Lubovitch came last and promptly rearranged the two chairs on stage into a more pleasing configuration (he admitted it had been bothering him the entire program). Once settled, he explained that his approach to choreographing is to tell the story of the music. The dancers need to embody the music. “My relationship with my dancers is based on who they present themselves to be,” he says adding, “there has to be a bond of trust in the room. We trust and therefore can be free and therefore can create.” An excerpt from HISTOIRE DE SOLDAT, Three Dances: Tango, Waltz, Ragtime (2011) with three of his dancers followed telling a story with dark humor of a soldier, a princess and the devil. Mauro opened the floor up to questions from the audience before wrapping up a lovely discussion on dance, history and the choreographic process.